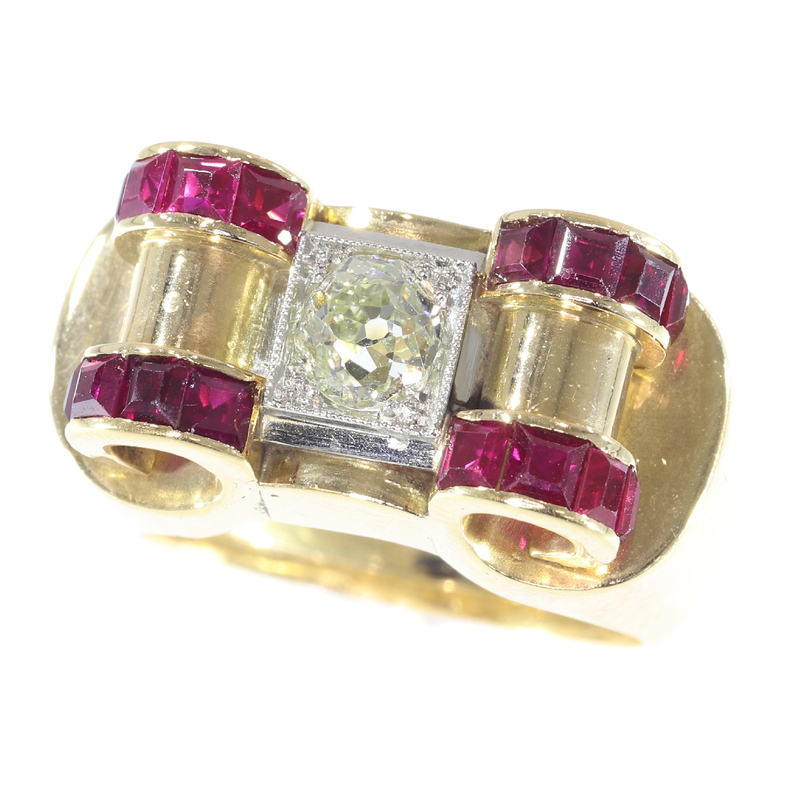 Impressive Retro ring with big old brilliant cut diamond and carre rubies: Description par door Adin Bijoux Anciens. This 18K red gold Retro ring from 1940 centres a grand old mine brilliant cut diamond encrusted in a platinum square platform. Two curls with edges of each four rail-set carré cut rubies rise up from the shank and boost up the central diamond. This jewel offers the opportunity of displaying a strong architectural design with an abundance of gold and glamour, while still fitting as a glove on any woman's hand. Precious stones: 16 carre cut rubies (lab produced) (also called verneuil ruby).